CHI COLTRANE-CHI COLTRANE, LET IT RIDE AND SILK AND STEEL. The word prodigy is an overused word, but that is the only way to describe Chi Coltrane who could play eight different instruments by the time she was twelve. What makes this all the more remarkable is that Chi Coltrane had absolutely no formal musical training. Instead, her ability to play such a wide variety of instruments was innate. It was her gift. Eventually, Chi Coltrane decided to concentrate on one instrument the piano. It was at the piano that eighteen year old Chi Coltrane wrote her first song as an eighteen year old. By then, she was a playing bars, clubs and restaurants in Chicago. That was where she was discovered by the manager of the Shubert Theatre, who took Chi Coltrane to the West Coast where she recorded a six song demo which was sent to Columbia Records. Soon, an audition with Clive Davis was arranged, and after singing just one verse Chi Coltrane was offered a contract. 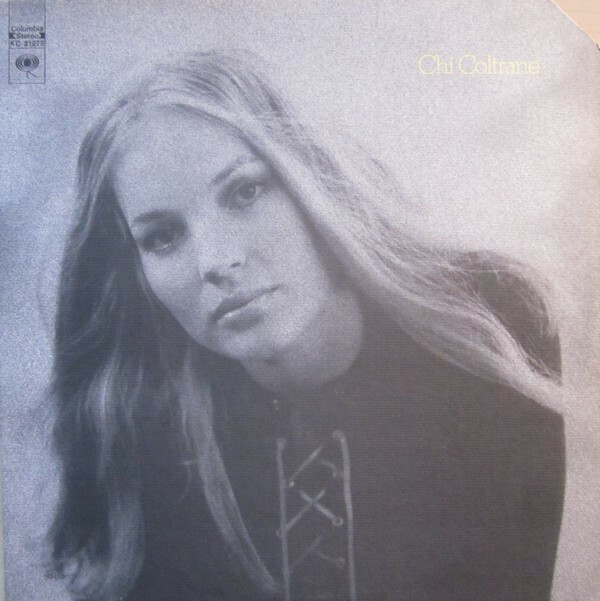 With the contract signed, Chi Coltrane recorded a trio of albums for Columbia Records. These albums, Chi Coltrane, Let It Ride and Silk and Steel have been digitally remastered and reissued by BGO Records as a two CD set. For Chi Coltrane, embarking upon a career as a singer-songwriter was her destiny. It was what she as born to do. Chi Coltrane was born on November the ’16th’ 1948 in Racine, Wisconsin, and was one of seven children born to a Canadian mother and German father who was a violinist. Soon, it became apparent that Chi Coltrane had inherited his musical talent. Just like most young girls growing up in the early fifties, Chi Coltrane and her friends played with dolls. One day seven-year old Chi Coltrane took her doll and went to play with her friend next door. When she went into the house, Chi Coltrane discovered the family piano. Suddenly, Chi Coltrane lost interest in her dolls and started to play the piano. This was the start of a new chapter in Chi Coltrane’s young life. Not long after this, Chi Coltrane’s mother remarried and moved into her stepfather’s house, where she discovered a piano. When Chi Coltrane started to play the piano, her mother was surprised. She had no idea about her daughter’s musical gift. Soon, Chi Coltrane’s mother was receiving notes from the school telling her that her daughter was gifted musically. That was something of an understatement. By the time Chi Coltrane was twelve, she was able to play eight different musical instruments. She could usually work out how to play an instruments within an hour. This was almost unheard of. However, it wasn’t Chi Coltrane’s only gift. Another innate gift that Chi Coltrane had, was the ability to empathise and connect with animals. This was an unusual gift something very few people were able to do. However, Chi Coltrane was a very gifted child. Meanwhile, Chi Coltrane was singing in church, where he voice started to develop. Soon, she was being asked to sing solo, which allowed Chi Coltrane to become used to singing in front of audiences. This would stand her in good stead for the future. By her late teens, Chi Coltrane was already singing in bars, clubs, restaurants and supper clubs in Chicago. This was where Chi Coltrane would serve her musical apprenticeship over the next few years and mature as a singer and indeed songwriter. Chi Coltrane had already written her first song as an eighteen year old, and this was the start of a successful songwriting career. However, the patrons at the establishments Chi Coltrane played and sang at, wanted to hear very different songs. So Chi Coltrane made a point of learning the classic songs that her older, wealthier audience would enjoy. Many of the venues Chi Coltrane played at were frequented by some of Chicago’s local celebrities, politicians and businesspeople, and each night, she tailored her sets to the suit her audience. As she sang and played the piano, the audiences started to take notice of the young singer. Sometimes they spoke to Chi Coltrane, and many members of her appreciative audience left tips in the crystal jar that sat on top of her piano. Before log, Chi Coltrane was a popular draw across the Windy City with people flocking to see the young singer. This included the manager of the Shubert Theatre, who when he heard Chi Coltrane singing in a restaurant, suddenly lost all interest in his meal. All he wanted to do was listen to the singer next door on the lounge. When he arrived in the lounge and listened to Chi Coltrane, he realised that this was no ordinary singer. By the end of the evening, Chi Coltrane had a new manager who would take the young singer-songwriter to the West Coast. With the contract signed, Chi Coltrane was soon working on her debut album for Columbia Records. She was paired with studio drummer turned producer Toxey French. He had played on albums by some well known artists including Judy Henske, The Dillards and Tommy Rae. More recently, Toxey French had produced another Los Angeles based singer-songwriter Patty Dahlstrom. This was most likely why he was paired with Chi Coltrane. Despite not yet being twenty-four, Chi Coltrane was writing songs that belied her relative youth. She was maturing into a talented and versatile songwriter who had an old head on young shoulders. When it came to choosing the material for her eponymous debut album, the eleven songs that were all Chi Coltrane compositions. They were recorded by a band that featured some of LA’s top session players. Columbia Records was backing their latest signing by allowing producer Toxey French to put together a band that included some of the finest session musicians LA had to offer. Some of the musicians featured on the entire album, while others featured on one or two tracks. This included a rhythm section that included drummers Jim Gordon and Ron Tutt, bassist Larry Knechtel, Lee Sklar and Steve Lefever and guitarists Dean Parks and Ben Benay. They were augmented by percussionist Victor Feldman, King Errisson on congas, plus strings, woodwinds, horns and The Billy Barnum Chorus. No expense was spared for Chi Coltrane who played piano, organ and added vocals. She also on arranged the eleven songs with producer Toxey French, and was involved in the production process on her eponymous debut album. With Chi Coltrane completed, the time came to choose a lead single. This was a hugely important decision that could make or break an album. If the wrong song was chosen, an album could sink without trace. That wasn’t the case with Chi Coltrane which was full of possible singles. Eventually, the song that became the lead single, was the song that opened the album, Thunder and Lightning. Thunder and Lightning was the perfect debut single for Chi Coltrane, who unleashes one of her trademark vocal powerhouse on this soulful single. This was very different to many of the Laurel Canyon singers who didn’t lacked the power, control or soulfulness that Chi Coltrane had. When Thunder And Lightning was released as a single in 1972, it reached seventeen in the US Billboard 100 and entered the top ten in the Cash Box and Record World charts. This was the perfect start to Chi Coltrane’s recording career. Meanwhile, Chi Coltrane was released to critical acclaim later in 1972, and spent the best part of the three months in the US Billboard 200 and found an audience across mainland Europe. Already, twenty-four years Chi Coltrane was enjoying success on both sides of the Atlantic. Key to the sound and success of Chi Coltrane were three things. The first was Chi Coltrane’s songwriting skills. Every one of the eleven songs oozed quality and told a story. Then there was Chi Coltrane’s vocal that veered between powerful to tender and emotive. However, what made Chi Coltrane standout from the rest was her piano playing. She was a much more talented and practised pianist than many of her contemporaries. They could only play much basic block chords and arpeggios, while Chi Coltrane was a virtuoso who music flowed through. That was the case on Chi Coltrane, which featured a number of beautiful and heart wrenching ballads followed the explosive album opener Thunder And Lightning. These ballads included Goodbye John, You Were My Friend, Turn Me Around, The Tree and It’s Really Come To This. They were joined by the spiritual sounding Go Like Elijah and the uplifting Feelin’ Good. I Will Not Dance features an almost defiant vocal from Chi Coltrane. It gives way to the power ballad Time To Come In which has a Laurel Canyon sound. This leaves the ruminative ballad The Wheel Of Life closes Chi Coltrane and showcases her talents as a singer and songwriter with her critically acclaimed and commercially successful debut album. That wasn’t the end of the success for Chi Coltrane. Go Like Elijah was released as a single later in 1972, and although it failed to triable the charts in America, Go Like Elijah spent a month at number one in the Netherlands. This gave Chi Coltrane her first number one single, and was something to celebrate. By then, Chi Coltrane was enjoying success across Europe. Just like many American before her, Chi Coltrane was more popular in Europe than in America. The only country she had yet to make a breakthrough was in Britain, where restrictive trade union practises hampered her progress. This came about when Chi Coltrane’s appearance on Old Grey Whistle Test was cancelled at the last-minute. A musician’s union rule stated that if an American musician appeared on British television, a British musician had to be booked to appear on American television. When that wasn’t about to happen, Chi Coltrane’s television appearance was suddenly cancelled. Despite that disappointment, Chi Coltrane had come a long way since the release of her eponymous debut album. After the success of Chi Coltrane the twenty-four year old singer-songwriter decided to enrol at the Salter School of Music in Los Angeles. She managed to combined the course with her burgeoning musical career. One of Chi Coltrane’s priorities was writing her eagerly awaited sophomore album Let It Ride. Chi Coltrane wrote nine new songs, which joined Hallelujah which was written by Gary Zekley, Mitch Bottler and Roberta Twain. With the songs written, Chi Coltrane was already thinking about asking if she could produce Let It Ride herself. She had learnt a lot from producer Toxey French, and was ready to put that knowledge to good use. 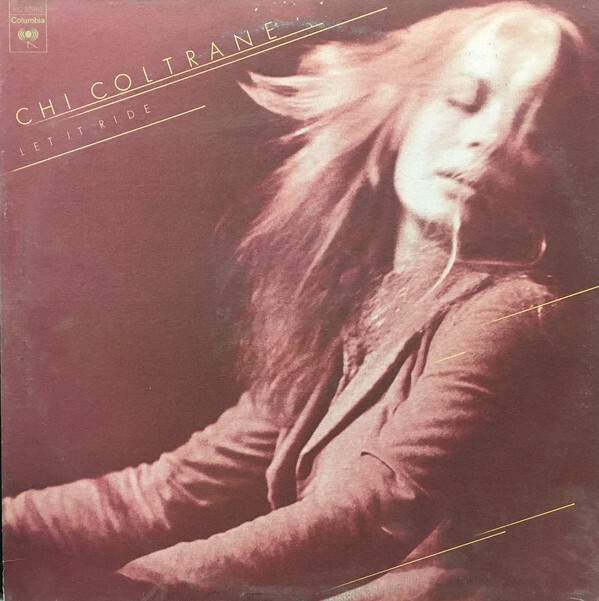 When Chi Coltrane asked about producing Let It Ride, executives at Columbia Records agreed, pointing out that she was essentially the de facto producer of her eponymous album. Now that it had been agreed that Chi Coltrane could produce Let It Ride, she set about putting together a band that featured a mixture of old faces and new names. The rhythm section included drummers Jim Gordon, Jim Keltner, Barry De Souza and Steve Parsons, bassists Larry Knechtel, Chris Lawrence, Emory Gordy, Joe Puerta, John Gustafson, Klaus Voorman and Mark Cipola and guitarists Ben Benay, Larry Byron and Lee Ritenour. They were joined by Paul Buckmaster on synths, Alan Estes on tambourine and Bobbye Hall who played congas and tambourine. Completing the lineup were backing vocalists Merry Clayton, Clydie King and Stephanie Spruill plus a horn, string and woodwind section. This was the band that accompanied Chi Coltrane at Mama Jo’s studio in North Hollywood, and Trident Studios in London, during her European tour. Once Let It Ride was completed, Chi Coltrane’s sophomore album was released later in 1973. 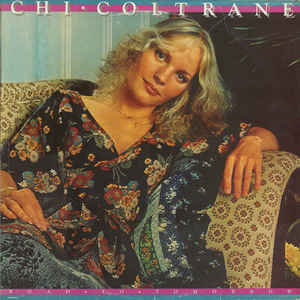 By then, Chi Coltrane had established a following within the music press who realised that she was a cut above the majority of singer-songwriters around at that time. Proof of that was Let It Ride. Let It Ride featured a songwriting masterclass from Chi Coltrane who as a vocalist, was equally comfortable on ballads and uptempo songs. She could breath life, meaning and emotion into the lyrics which often were filmic, while others including Hallelujah and Let It Ride were akin to ‘21st’ Century spirituals. Short’nin’ Bread, Fly-Away Bluebird and It’s Not Easy showcase a bluesy, soulful sound which shows another side to Chi Coltrane. Feather My Bed is another song whose roots are in the blues, while Who Ever Told You can only be described as explosive and irresistible as Chi Coltrane uses allegories throughout the song. Chi Coltrane then returns to familiar territory on the ballads which are tales of love and love lost, including the soul-baring Different Ways, Myself To You and the album closer Forget Love. Critics hailed Let It Ride as an even better album than Chi Coltrane. She had reached new heights on an album that marked the musical coming of age of twenty-six year old Chi Coltrane. When Let It Ride was released in 1973, it was more popular in Europe than in America. Let It Ride was quickly certified gold in several European countries. It was only later that Chi Coltrane would be certified gold in these countries. By then, all wasn’t well at Columbia Records. Clive Davis left Columbia Records not long after the release of Let It Ride. After some changes within Columbia Records, it became apparent that Chi Coltrane wasn’t high on the label’s priorities. Eventually, Chi Coltrane’s lawyer negotiated her release from the Columbia Records’ contract. Now the search began for a new label for Chi Coltrane. By then, over three years had passed since the release of Let It Ride. Despite this, Chi Coltrane had no problem finding a new label, and signed a two album deal with the TK/Cloud label, a Miami based label which specialised in disco, funk and soul releases. Given Chi Coltrane’s musical background, the TK/Cloud label seemed the wrong label for the LA based singer-songwriter. Despite the misgivings of many music industry insiders, Chi Coltrane began work on their album Road To Tomorrow. It featured ten new songs penned by Chi Coltrane, which were recorded by a band that featured some of LA’s top session musicians including drummer Jim Gordon and Jeff Porcaro and percussionist Victor Feldman who also played vibes. Adding backing vocals was none other than Jennifer Warnes. Some members of this multitalented had worked with Chi Coltrane before on her two previous albums. However, Road To Tomorrow was the first album produced by Peter Bernstein. When Road To Tomorrow was released the album was well received by critics, but failed to find an audience in America. Road To Tomorrow was more popular in America, but failed to replicate the success of Chi Coltrane and Let It Ride. This was disappointing for Chi Coltrane. Fortunately, fate intervened when Chi Coltrane attended a meeting at the Beverley Hills Hilton, and mistakenly went into a room where a CBS conference was taking place. Straight away, the various executives recognised Chi Coltrane and soon, were trying to sign her to CBS Germany. The only problem was the contract with TK/Cloud. Eventually, a decision was made that CBS Germany would offer to buy Chi Coltrane out of her contract with TK/Cloud. When CBS Germany approached the Miami-based label, they accepted the offer and Chi Coltrane was free to sign to another major label. She was going up in the world again. 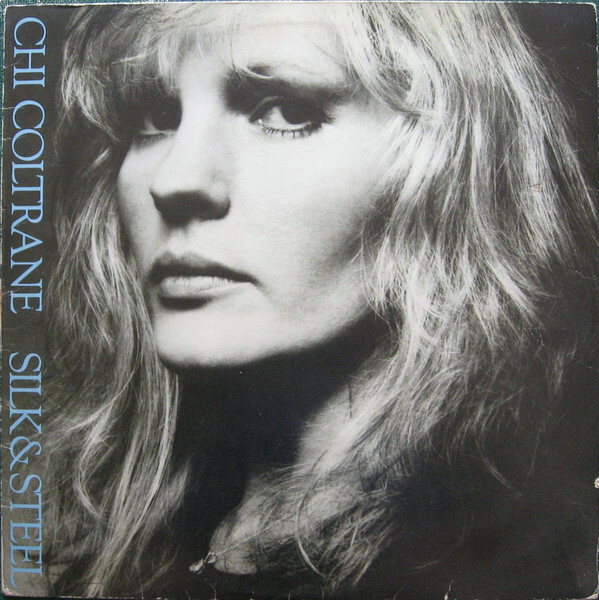 As soon as Chi Coltrane had signed to CBS Germany, she began work on Silk and Steel, her fourth album. Eventually, Chi Coltrane had written eight new songs that would become Silk and Steel. It featured a very different band and producers. For the recording of Silk and Steel, Larry Brown and Freddie Piro were chosen to produce the album. Wim Kutz and Chi Coltrane assumed the role of associate producers, as she began working with a new band. Joining Chi Coltrane was a rhythm section of drummers David Kemper and Mark Sanders, bassists Charlie Souza, David Edelstein and Jeff Eyrick and guitarists Daryl Caraco, David Mansfield, Eric Turner, Steve Hunter and Tom Fowle. They were joined by Bernie Leadon on acoustic guitar and Larry Brown who played synths and percussion. As usual, Chi Coltrane played piano, keyboards and now synths while adding lead vocals. Once the album was complete it was ready for release in 1980. Silk and Steel marked a return to form from Chi Coltrane. Her carefully crafted fourth album received praise and plaudits from critics, who were won over by the longer songs on Silk and Steel that which was a quite personal album for Chi Coltrane. By then, Chi Coltrane was constantly touring and playing around 300 concerts each year. This was starting to take its toll and she deals with the exhaustion caused by gruelling tours on uptempo rocker Jet Lag. Chi Coltrane unleashes vocal powerhouses on the uptempo rocker Leaving It All Behind and the rocky Goin’ Round deals with the perils, pain and pleasure caused by romance. Don’t Forget The Queen was a pop rock ballad, while Blinded By Love was hurt-filled ballad. Then on Kick Back and Anymore Chi Coltrane and her back kick loose. However, it’s Chi Coltrane’s defiant powerhouse vocals that steal the show on these rock tracks. Closing Silk and Steel was Travel Light a thoughtful sounding ballad with an anti-materialism message. It’s one of the highlights of the album. Eight years after releasing her debut album, Chi Coltrane released her fourth album Silk and Steel, which showcased a truly versatile vocalist who was maturing with every album. Sadly, still commercial success continued to elude Chi Coltrane at home, and again, Silk and Steel was more popular in Europe than in America. It was a familiar story for Chi Coltrane. That had been the case since Chi Coltrane released her sophomore album Let It Ride. Since then, her albums sold well in Europe and her concerts sold out. Meanwhile, in America Chi Coltrane was still trying to replicate the success of her 1972 eponymous debut album. Sadly, Chi Coltrane never came close to replicating the success of her eponymous debut album at home in America. Meanwhile, Chi Coltrane’s career was blossoming in Europe. Eventually, she decided to move to Europe, which became her adopted home. In Europe, Chi Coltrane’s 1982 album Live, 1983s Ready To Roll and 1986s The Message sold well. Sadly, nearly two decades of constant touring took its toll on Chi Coltrane. She was exhausted and had burnt out. Chi Coltrane was no longer able to play live and it wasn’t until a holistic doctor treated the illness in 2007, that she was able to make a comeback. Five years later, in 2012, and Chi Coltrane released her second live album The Comeback Concert-Live In Vienna. Fifty-four year old Chi Coltrane was back doing what she did best, making music. That what she had been doing since releasing her eponymous debut album in 1972. 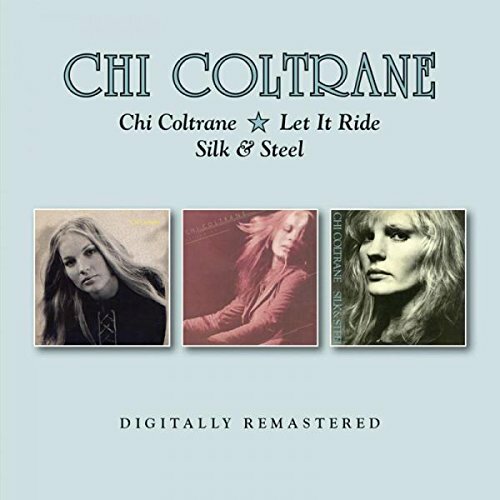 Chi Coltrane, Let It Ride and Silk and Steel were recently digitally remastered and reissued as part of a two CD set by BGO Records. This is a welcome release that is a reminder of the prodigiously tainted Chi Coltrane at the peak of her powers, on Chi Coltrane, Let It Ride and Silk and Steel. ← GILLIAN HILLS-ZOU BISOU BISOU: TOUT EN FRANCAIS THE YE-YE YEARS 1960-1965.